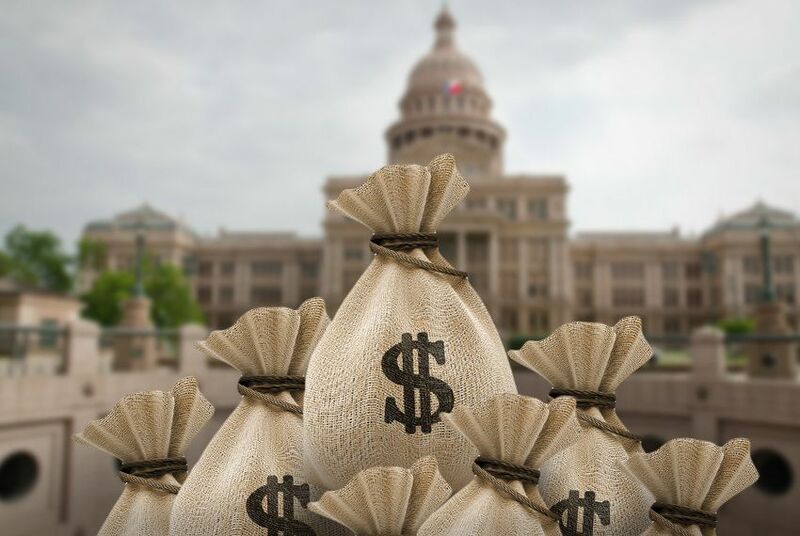 Republicans largely outraised their Democratic challengers this summer in the most closely watched races for statewide offices and the Texas Legislature, according to the latest fundraising reports filed with the Texas Ethics Commission. But a handful of exceptions — including the challengers to Agriculture Commissioner Sid Miller and Attorney General Ken Paxton — highlight some bright spots for Democrats in certain races. Miller's opponent, Kim Olson, took in $131,000 to his $25,000 — a paltry sum for a statewide officeholder that came from only 13 donations. Paxton's rival, Justin Nelson, hauled in $1.1 million to $488,000 for the attorney general. Olson ended the period with more cash on hand than Miller had, $162,000 to $53,000. Paxton retained an advantage in that category over Nelson, leaving $4.3 million in the bank to Nelson's $1.7 million. Paxton nonetheless saw his balance go down significantly after unloading over $3 million for TV advertising. Meanwhile, at the top of the ticket, Gov. Greg Abbott continued to dominate Democratic opponent Lupe Valdez in the money race. His bank account stood at $26.8 million after raising $5.7 million, while Valdez's balance came in at $303,000 after taking in $680,000. Lt. Gov. Dan Patrick was also far ahead of his Democratic foe, Mike Collier, raising $1.6 million to Collier's $396,000 and maintaining a far larger war chest. In what is widely regarded as the most competitive Texas Senate district in the state, state Sen. Konni Burton, R-Colleyville, posted a much larger haul than her opponent, Democrat Beverly Powell, $1.1 million to $440,000. Yet most of Burton's haul came via six-figure assistance from three sources: Texans for Lawsuit Reform PAC, the political arm of the tort reform group; Empower Texans PAC, the hard-line conservative group; and Texans for Fiscal Responsibility PAC, a new entity affiliated with Empower Texans. Burton also reported a cash-on-hand advantage — $489,000 compared to Powell’s $447,000. Two other Republican state senators whose seats are viewed as in play this cycle — Don Huffines of Dallas and Joan Huffman of Houston — also outraised their Democratic challengers but not nearly by as large a margin as Burton. Huffines, who represents a district where Hillary Clinton beat Donald Trump in 2016, raised $412,000 and reported having $491,000 cash on hand. (His largest contribution was a $100,000 donation from Texans for Fiscal Responsibility PAC). Nathan Johnson, his opponent, raised $248,000 and has $317,000 cash on hand. Huffman, on the other hand, has a smaller cash advantage over her opponent, Rita Lucido. The incumbent reported raising $248,000 compared to Lucido’s $185,000. And a large chunk of Huffman's haul came from Texans for Lawsuit Reform PAC, which donated $100,000 — roughly one-third of all the money she raised this past quarter. A majority of House Republicans locked in competitive re-election battles outraised their Democratic challengers. In North Texas, state Rep. Matt Rinaldi, R-Irving, raked in $278,000 to Democrat Julie Johnson's $188,000 — a vast improvement for the incumbent after he was outraised by an almost 3-to-1 margin earlier this year. Most of Rinaldi's haul came from Empower Texans while Johnson had big-dollar in-kind contributions from Annie's List and Texans for Insurance Reform. Rinaldi ended the period by maintaining his cash advantage with $287,000 to Johnson's $251,000. Other GOP incumbents in Dallas County — an area Democrats are heavily targeting this cycle — also came out on top in the latest money haul, including state Reps. Linda Koop of Dallas, Angie Chen Button of Richardson and Rodney Anderson of Grand Prairie. Democrats, meanwhile, posted higher fundraising numbers in a few state House races, including state Rep. Victoria Neave's re-election bid. The Dallas Democrat raked in $165,000 to Republican Deanna Maria Metzger's $112,000. Neave got a $30,000 boost from the House Democratic Campaign Committee, while Metzger was aided by support from Empower Texans and Abbott's campaign. Neave ended the period with $115,000 to Metzger's $40,000. Democrats also reported fundraising advantages in races for two open seat currently held by Republicans. In House District 114, Democrat John Turner outraised Lisa Luby Ryan, who defeated state Rep. Jason Villalba of Dallas in this year's Republican primary. And in Central Texas, Democrat James Talarico outraised Republican Cynthia Flores, both of whom are vying to replace retiring state Rep. Larry Gonzales, R-Round Rock in House District 52. Disclosure: Texans for Lawsuit Reform has been a financial supporter of The Texas Tribune, a nonprofit, nonpartisan news organization that is funded in part by donations from members, foundations and corporate sponsors. Financial supporters play no role in the Tribune's journalism. Find a complete list of them here. With a supermajority, Republicans have complete control of the Texas Senate. That's at risk this election cycle.